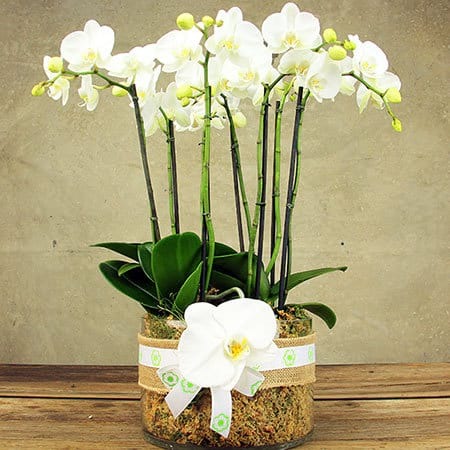 If you are looking for a luxury gift to deliver a special client, relative, friend or loved one, our stunning white Phalaenopsis orchid arrangmement is the perfect solution. 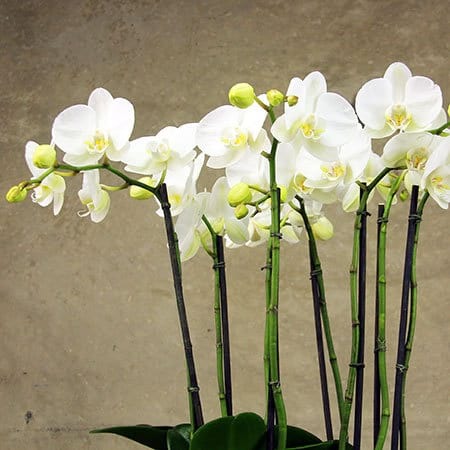 This magnificent and long lasting arrangement features delicate white orchid plants in a large, quality glass vase. 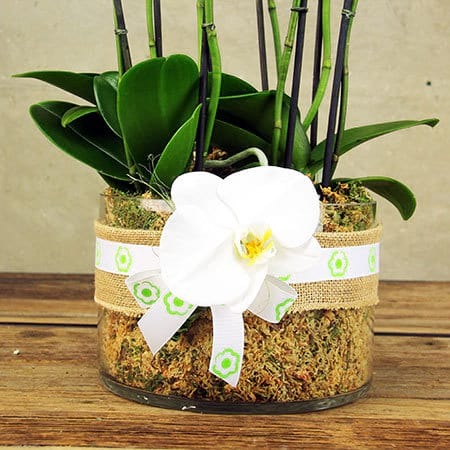 Tucked around the shiny green plant fronds is fresh moss to keep the orchids happy and also to look beautiful on display. Please note -Due to delivery volume on Valentine`s Day, no changes to orders can be made after 18:00 AEST Thursday 7th February for Thursday 14th deliveries. It is also important to note we are unable to guarantee delivery times on Valentine`s Day - roses will be delivered anytime between 7 - 5.00pm (business addresses) and 7 - 7pm (residential addresses). No re-directs will be possible if the recipient has left the delivery address for the day, however we will try, where at all possible, to accommodate your needs if this situation does arise. We thank you for your understanding! 2019-02-19 Service rating : In close succession, I have surprised someone special by purchasing flowers from Flowers For Everyone`s Rouse Hill store. On both occasions, delivery has been as promised and the flowers have been amazing and beautiful. Product : My purchase was from the Rouse Hill store and the flowers supplied were stunning! The real thing being every bit as good, if not better, than the image looked on the website. Highly recommend this particular store. 2018-11-26 Service rating : Easy to order online, good selection.Really liked the fact they messaged to let us know the flowers had been delivered on time. Product : Really liked the product.